Four people are dead after three separate highway crashes on Sunday. Police say poor road conditions contributed to all three crashes. “Yesterday was a bit of an anomaly because of the bad weather. We’ve been a little spoiled over the last few weeks. The weather has gotten mild and the roads are all down to pavement again. It probably caught some people by surprise,” said RCMP Superintendent Howard Eaton. A 44-year-old man died in a crash along Highway 881 at kilometre marker 159 on Sunday just after noon. Lac La Biche RCMP say an SUV travelling southbound veered into the northbound lane and collided head-on with a semi tractor-trailer. The 44-year-old driver of the SUV, who is from the Calgary-area, was pronounced dead at the scene. The 61-year-old driver of the semi was taken to Lac La Biche Hospital where he was treated and released with minor injuries. A 53-year-old man also died after a head-on collision on Highway 63 north of Wandering River on Sunday. Boyle RCMP were called to the collision on Highway 63, 30 kilometres north of Wandering River, at approximately 12:30 p.m.
Police say a southbound pickup truck had lost control and veered sideways into the path of a northbound car. The pickup truck rolled onto its side and sent the car into a ditch. The 53-year-old driver of the pickup truck was pronounced dead at the scene. The driver of the car was air-lifted to hospital with life-threatening injuries. Two people died after a crash on Highway 44 approximately two kilometres south of Villeneuve, just after 1 p.m. Sunday. RCMP say a northbound van lost control due to poor road conditions and collided with a southbound SUV. A person in their late 90s and another in their mid-70s died in that crash. Two other people were taken to hospital with injuries. All three crashes shut down the highways for several hours on Sunday. At one point RCMP say all northern routes were closed going into Fort McMurray. And while poor road conditions were factors in the crashes, police say driver error is also to blame. “In a number of these incidents that we saw on the weekend, they were driving too fast and lost control of their vehicles. I’m not saying they were speeding, but they were driving too fast for the conditions,” Eaton said. Don Szarko with the Alberta Motor Association says Sunday’s highway road conditions likely caught drivers off guard. “The snow was a little bit wet on Sunday and you were getting freeze thaw,” Szarko said. Szarko says motorists hitting the highways should plan for the worst. “You could be travelling half an hour down the road and encounter entirely different weather conditions and that’s just the nature of Alberta and the nature of the storms,” Szarko said. 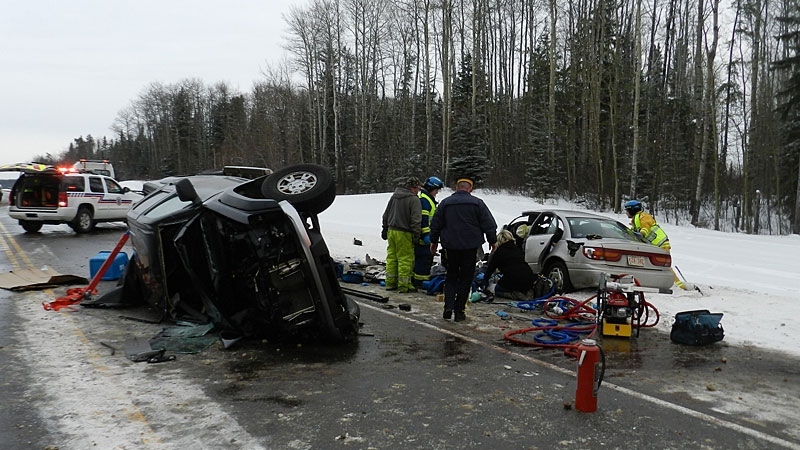 One man is dead after a collision on Highway 63 north of Wandering River Sunday. The crash was one of three fatal highway crashes on Sunday. 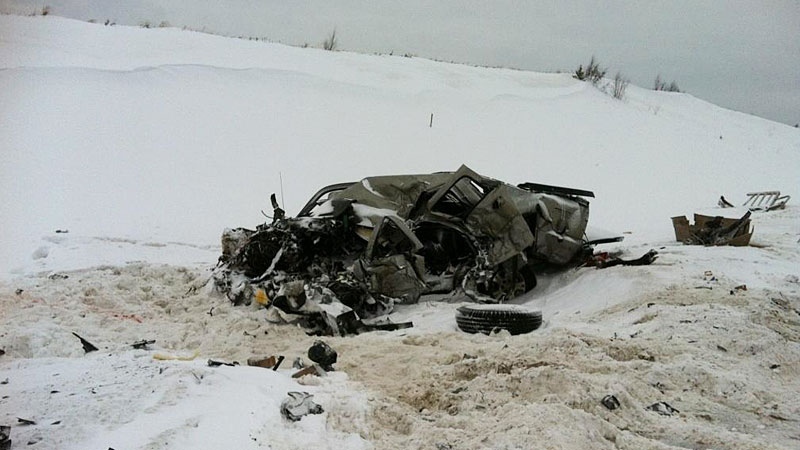 A 44-year-old man is dead after a crash along Highway 881 at kilometre marker 159 on Sunday. The crash was one of three fatal highway crashes on Sunday.